How do I enable a VPN in Google Chrome? There are a number of reasons why you might want to use a VPN, or Virtual Private Network, when surfing the internet. 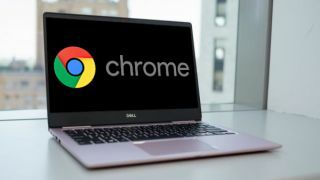 And being the world’s favorite browser, it’s no surprise that getting a VPN for Chrome is on the to-do list for many. Not only do they generally keep your private data safe from hackers and government surveillance agencies, they can also stop your ISP (Internet Service Provider) from throttling your connection speeds and bandwidth. Additionally, they offer a useful and perfectly legal workaround for accessing geo-restricted content. For instance, use one for Netflix and you can stream content from any version of the service, such as watching Netflix US in the UK (or vice-versa). In other cases, you may live in a country that blocks certain sites and services entirely (like China), in which case a VPN can help you stay connected to friends via Facebook – or simply help you catch-up on your favourite TV shows. Despite a certain mystique surrounding VPNs, they’re actually remarkably easy to install and convenient to use. This is especially true when it comes to Google’s popular Chrome browser, where all you need to do is install an extension. Our pick for best Chrome VPN extension is currently ExpressVPN, so we’ll show you how to enable that as it’s the easiest and most reliable to use based on our testing. First, you’ll need to purchase a subscription. While there are some good free VPNs you can download, they simply won’t match the reliability of a service like ExpressVPN, which is less than $100 a year if you opt for the top value 12-month package. It breaks down at a very affordable $8.32 a month. Plus, it offers a free 30-day money back guarantee, so if you’re not totally satisfied, you can opt-out within the first month if it’s not to your liking. After coughing up, you need to download the ExpressVPN app for the operating system you use. Most VPNs will be available for Mac, Windows, and Linux. In the case of ExpressVPN, you get a welcome email once you’ve subscribed, which contains a link to setting up the service. Click this and you’ll be taken to a screen where you’ll find your activation code (you’ll need this later) and clear buttons for each platform available. In our case, we were installing it on a Mac. Once you’ve completed the download, you need to install ExpressVPN. This pretty much takes care of itself. Just click the download package to initiate the installation process, follow the prompts, and you’ll be up and running in just a few seconds. Now, you can go back and install the dedicated Chrome extension, which will make it easier to turn your VPN on and off direct from your browser. To do this, click on the ‘Google Chrome’ tab then the ‘Get Extension’ button that appears on the right. You’ll be taken to the ExpressVPN website, where a ‘Quick Install’ button will take you to the Chrome Web Store to download the extension. Alternatively, you can navigate to the Chrome Web Store directly and search for the VPN you want to install as an extension. Again, this takes a matter of moments. You’ll then see a pop-up from ExpressVPN asking you to sign in using your activation code. Simply cut and paste this from your the ExpressVPN set-up page you received in your introductory email and you’ll enable the service. Now, all that’s left to do is connect to a VPN. One of the reasons we love ExpressVPN is it makes this particularly easy – the huge ‘Power’ icon at the centre of the extension making it obvious where to click. In a few seconds, you’ll be connected and browsing with all the additional privacy offered by a VPN. While we’ve used ExpressVPN for the purposes of this guide, the same basic process should apply for most good VPNs. For example, you can see that finding the extension to download for NordVPN – another service that features in our best VPN round-up – is equally easy to locate in the Chrome Web Store and will also guide you through the installation process in a logical, easy-to-understand manner. In other words, opt for a good Chrome VPN and you can look forward to browsing the internet privately and securely in a matter of minutes – it really is that easy!